If you have ever developed a toothache, you probably understand that it is a painful and unpleasant experience. 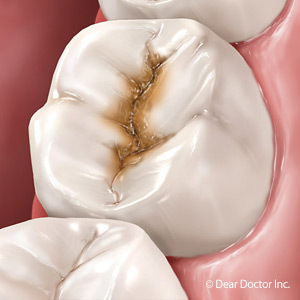 In most cases, a sudden toothache signifies that your tooth has become infected with decay and requires a root canal. A root canal can relieve your tooth pain and get you back to eating, drinking and chewing normally. Learn more about root canal therapy with Dr. Clark Wright in Venice, FL. Patients require a root canal when tooth decay reaches far inside of the tooth to its inner pulp chamber, infecting the tooth’s nerve and tissues that lie within. A root canal focuses on removing the decayed tissue and nerve, then replacing it with filling materials to restore the stability and natural structure of the tooth. The root canal procedure usually lasts under an hour though a second appointment may become necessary if the tooth requires a dental crown. Just like with other dental procedures, the first step in a root canal is to numb the work area. This means that not only are root canals not painful, but you cannot feel any pain at all due to the anesthetic. During a root canal, your dentist will make a small entrance hole on the top of your infected tooth. 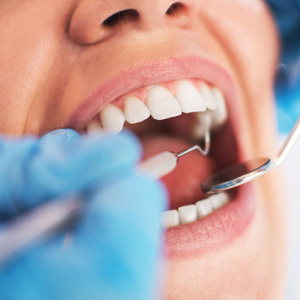 Using specialized instruments, your dentist removes the decayed tissue and nerve from inside of the tooth, then scrubs and cleans it to ensure that no decay remains within. Your dentist then fills the tooth using a rubber-like material called gutta percha, which seals the tooth and protects it from outside elements. If necessary, a dental crown is placed on top of the tooth helping to stabilize and protect it against everyday use. For more information on root canals, please contact Dr. Wright in Venice, FL. If you have tooth pain, call (941) 493-5923 to schedule your appointment for an examination with Dr. Wright as soon as possible.